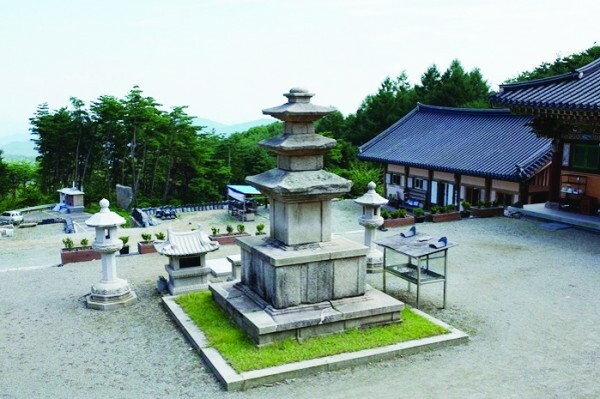 Simwonsa Temple is located at the foot of the center peak of Gayasan Mountain. It is surrounded by Sangahdeom, Manmulsang, Janggunbong Peak, and Sajaam Hermitage,with the beauties of mother nature all around. 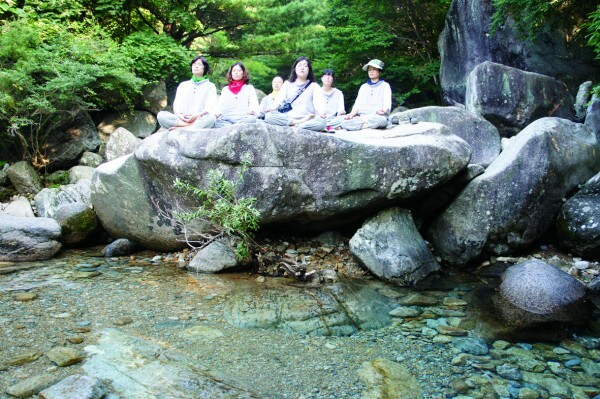 It is said that Gayasan is the spiritual mountain of the Yeongnam or Gyeongsang area. It attracts people all year round, regardless of season, in its various splendors. The freshness of spring days, the summer fog from rain and clouds, the colorful leaves of autumn, and the white innocence of winter snow wake all the wondrous beings in the area. In this restful and safe heaven, we hope that every practitioner comes for a thousand-day prayer to achieve their wishes, and for others to be relieved of their daily struggles and feel refreshed by their templestay. There is one saying written by a monk, “What is the most precious seed for a person? For loved ones, maybe Romeo or Juliet…? What can the other one give? Amongst all possibilities, their heart would be the best of all.” As I read this, it made me think, ‘What is the most beautiful flower? The world is filled with so many kinds of flowers: roses, sunflowers, chrysanthemums, and so on. Regardless, I dare to say the most beautiful flower is a beautiful laughter! Then, what is the best fortune? A great husband, great wife, wonderful children, delicious food, plenty of money? Or does simple happiness transcend all of these? May you come and clear your mind of all worries and anxieties, and plant seeds of happiness so when smiling buds bloom, you may take the bountiful fruits of happiness with you. It will become a reality if you can dream. This hall is believed to have been founded around the 8th century, during the same period as Beopsusa Temple. 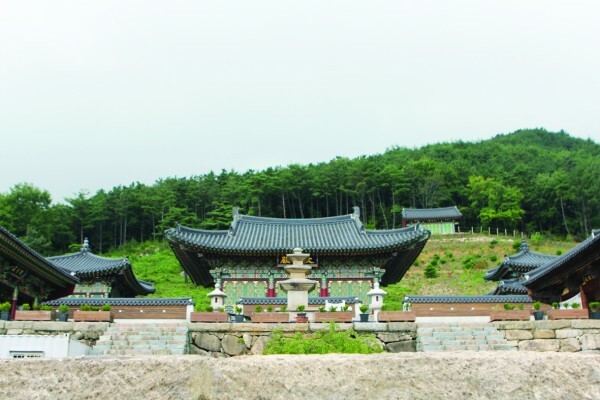 It was expanded by Venerable Jiwon during the peaceful period of 1522-1566. However, it was accidentally destroyed by fire by some volunteer soldiers in 1593 during the Imjin War, or the Japanese Invasion (1592-1596). The restoration project started two hundred years ago, and has continued up until now. Why not take the opportunity to learn the Buddha’s teaching as his disciples did, from Ananda, who transmitted the Buddha’s teaching, and Mahākāśyapa, the wise disciple of Buddha? This is a typical stone structure of the Unified Shilla Period and Cultural Property No. 116 of Gyeongsangbukdo Province. 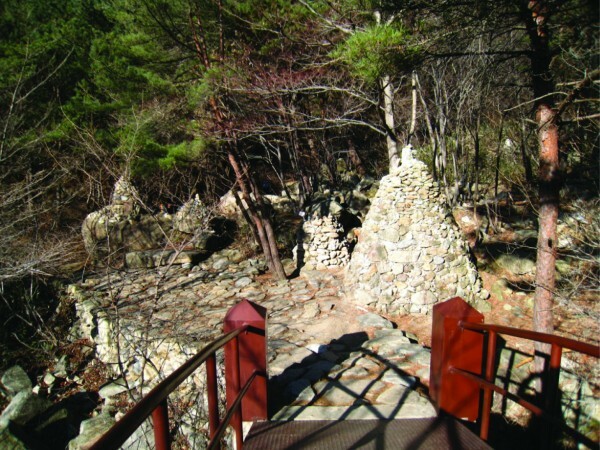 This shrine is located beneath Sangahdeom, the birth place of the legendary King Suro (?~199) of the Geumgwan Gaya Kingdom. 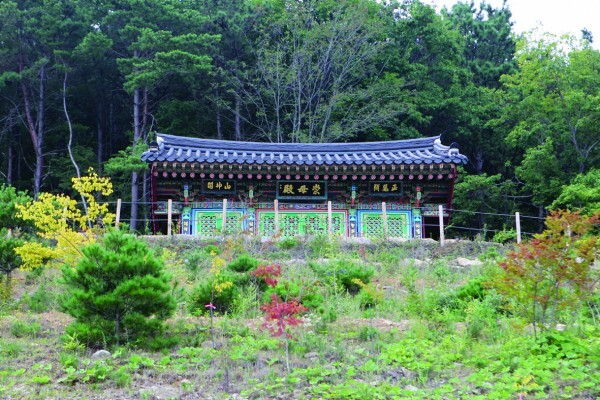 Continuing the nearly-forgotten tradition every October, believers perform a Sansin Daejae, or ritual for the Mountain God, Jeonggyeon Moju, who is also the guiding god of Geumgwan Gaya, wishing for the stability and prosperity of their country. 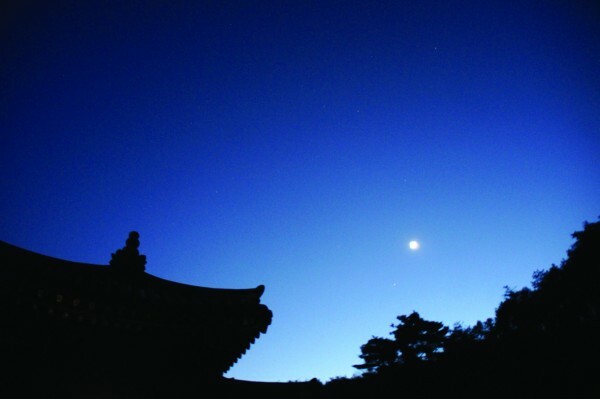 During your visit to Simwonsa Temple, you will be able to see the beautiful sunrise and the dream like sea of clouds. As you pass through the shaded wood of a cool summer valley, follow a narrow path. An ancient forest, scented of pine, awaits you. Why not take a book and a portable mosquito net to a nearby valley? There is no place like this on earth. 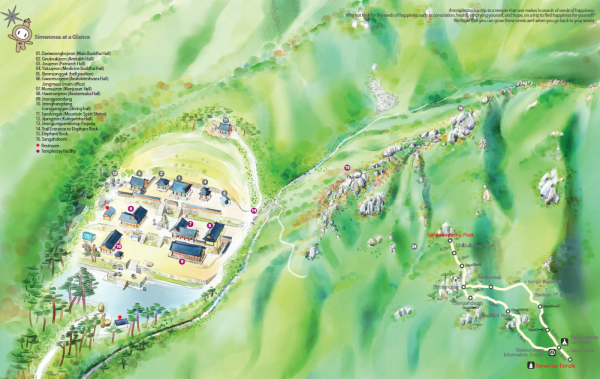 Take the Yonggigol Course past the Gayasa National Park Information Center, following the sound of the valley. Several stone towers will come into your view. Stone by stone, many of these stones formed a strong tower. Likewise, as you add a stone to the top of a tower, while making your wish, know that you are not alone. On the way, bring a small stone in your pocket.